Harry Bellafonte Parody : GODELLO, Summertime Come And Me Want To Drink Some!! 2010 Atalaya Godello Do Mar Comes from an area of Galicia called Monterrei in the northwest of Spain. Monterrei is further inland and enjoys a warm dry climate. has been in the wine business for almost 70 years & have always resided in this small corner of Spain. Atalaya do Mar has a very small production of 10 hectares, most of which is Godello. The soils are filled with slate stones which give the wines a mineral note and an expressiveness that other regions in Galicia don’t have. 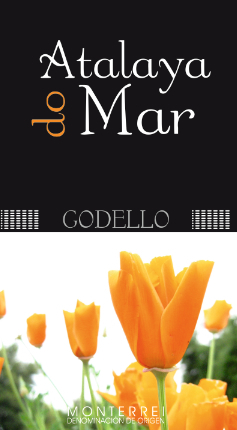 Atalaya Do Mar’s 2010 Godello was fermented with native yeasts and aged sur lie for 2 months. Inviting aromas of slate/mineral, baking spices, acacia, and melon lead to an intense, concentrated, nicely proportioned white with very good volume and length. Already complex, this impressive Godello is likely to add complexity with another 1-2 years of bottle age. It over-delivers in a big way. When I sampled this wine for my review, the aromatic nose won me over from the start. I felt like I was breathing in, White Flowers while standing in the middle of a Cantaloupe Melon Patch. Beautiful, mineral laced fruit with very concentrated melon and stone fruit flavors. This was a very intense and serious white wine and I still can’t believe it is only $11.00 per bottle. Go out, buy this wine, get some Serrano Jamon, wrap it around melon cubes and I think the pairing would be amazing. A piece of 6 month aged Manchego or Mahon Cheese wouldn’t be a bad idea or just drink this great white by itself as a thirst quenching white that is affordable and delicious. PreviousIt’s Just a CORK not ROCKET Science!! !